Millennials are spending more time with their PCs than ever before. Studies indicate that the average time spent on a PC has gone up by 12 minutes since 2012. In addition, consumers are spending twice as much time watching movies and TV shows on PCs rather than tablets and smartphones combined. As consumers become prolific creators, sharers of content and end users, Lenovo believes that display innovations will be a key feature that will drive customer satisfaction. 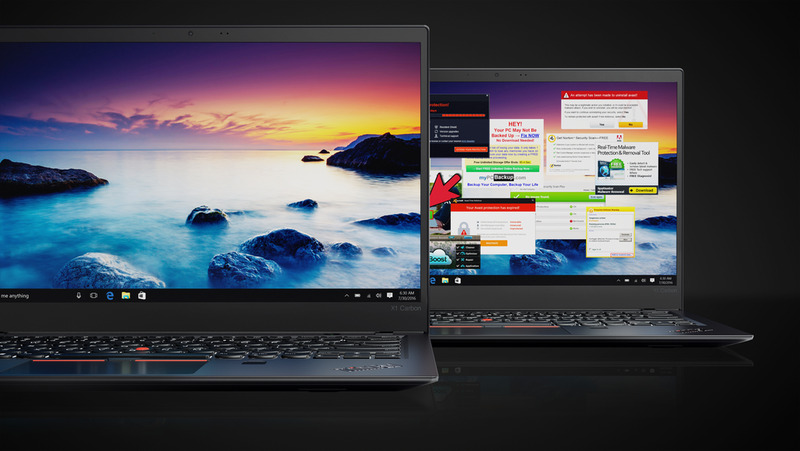 The company has already implemented these features in industry-leading products such as the ThinkPad X1 Yoga’s optional OLED display; the Yoga 910’s near-edgeless 4K display; the Yoga Book featuring pen-based input, dual screen and a Halo Keyboard; as well as the Lenovo Y27g Curved Gaming Monitor. AR/VR Gaming – The AR/VR gaming space is projected to explode as a trend in 2017. With over 50 different headsets already confirmed to be displayed at CES 2017, gaming systems are set to dominate the PC market. We can anticipate that these technologies will grow beyond the PC gaming world as new uses are discovered for the technologies. For example, schools are piloting “Virtual Reality Corners” to diversify the learning process, bringing headsets and AR-compatible devices into the classroom. Benefits of a world with AR/VR are limitless and in line with Gartner’s predictions, this immersive experience will evolve dramatically through 2021, as the technologies transform our interaction with one another and with software systems. Display Innovations – Thanks to the growing consumer interest for AR/VR gaming, display innovations subsequently follow on the fast track to growing PC trends. Last year, Lenovo was one of the first to bring curved gaming monitors to market for more immersive gaming with the Lenovo Y27g Curved Gaming Monitor and continues to invest in this space to match display capabilities with AR/VR technology that calls for vibrant, snappy visuals. Outside of gaming displays, Lenovo also introduced the ThinkPad X1 Yoga with optional OLED display and the Yoga 910 with up to 4K display, ushering these high-impact displays to become the standard. IoT Integration – IoT will continue to leave an impression in 2017 as industry observers are already predicting “The Internet of Everything” to be a disruptive trend in technology for the year. Expect to see significant growth in both the consumer and B2B market where smart connectivity extends to virtually any endpoint in the home or workplace. Lenovo is on the path to innovate in this space with ambitious R&D plans in place to make PCs and other smart devices even more integrated and intuitive. Versatility in Laptops and Tablets – In a recent report, IDC forecasts that detachables can be considered as a PC replacement in the commercial space, with the detachable category expected to account for 31 percent of the tablet market by 2020, an increase from its current market share of 16 percent. 2017 will undoubtedly see an abundance of convertible and detachable devices on the market as portability and versatility remain top of mind for PC users who are becoming more mobile at work and at home. Extended PC Lifecycles – In the commercial space, analysts forecast PC-as-a-Service (PCaaS) will help PC vendors transform transactional PC sales into longer-term and more profitable engagements by expanding their services portfolios bundled with PC sales. IDC also surveyed IT buyers across a range of company sizes about PCaaS, and found that almost half of respondents said they engaged in the past 12 months or are considering engaging in the next 12 months in PCaaS. This means IT decision makers are positioned to drive and grow the PC market with customized add-on services to maintain and extend the lifecycle of the device. The Internet of Things (IoT) will continually change the way we live in the coming year. For businesses, the potential from IoT growth will boost productivity and enhance customer engagement. On the consumer front, as we get increasingly connected and adopt new technologies, there will be a blurring of the digital and physical world.